Each spring, National Work Zone Awareness Week is held to bring attention to safety in work zones. This year, the Colorado Department of Transportation will recognize April 9-13 as work zone awareness week. CDOT joins transportation departments across the country supporting the awareness message and hosting events to honor those lost with a ceremony at CDOT's headquarters April 12. Southeastern Colorado Region 2, will hold a Remembrance Day ceremony Wednesday at 1:00 p.m. at the CDOT regional headquarters building, 5615 Wills Blvd. in Pueblo. The ceremony will be held in the courtyard located in the rear of the building and will feature the reading of the nine names on the CDOT Region 2 Memorial Monument. In 1995, the first CDOT Remembrance Day was observed following a Colorado Transportation Commission meeting in Denver. Twenty-three years later there are now 60 names displayed on the Memorial Monument at CDOT Headquarters in Denver, representing the employees who have lost their live in the line of duty. The most recent death was February 11 when Nolan Olson, a member of the Pagosa Springs maintenance patrol died succumbed to injuries sustained after being struck by a passing vehicle while working on a southwest Colorado highway. In 2017, there were 15 work zone fatalities in Colorado, more than doubling 2016 fatalities. Nationally, more than 750 persons are killed, and another 37,000 persons are injured in work zone crashes each year. In honor of National Work Zone Safety Week, CDOT asks the public to go orange. 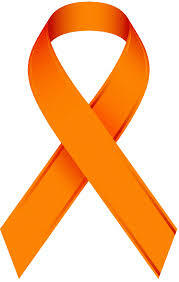 Join state employees by wearing orange on Wednesday, April 11, Go Orange Day. All roadway safety professionals across the country are encouraged to wear orange on this day to support work zone safety while also honoring the families of those who lost their lives in work zones. CDOT urges drivers to always drive with care, especially when traveling through work areas. Use these safe-driving tips when traveling through cone zones. The public is also reminded that in Colorado, fines are doubled for infractions in a work zone. Be patient and stay calm. Work zones aren't there to personally inconvenience you. Remember: The work zone crew members are working to fix and improve the road and make your future drive better.